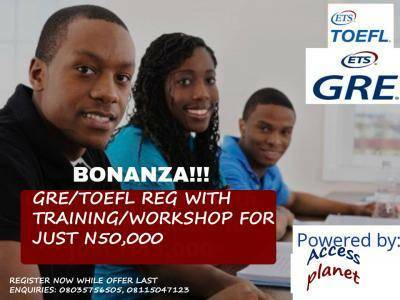 Good news for those intending to take TOEFL, GRE, IELTS, SAT, GMAT and PTE tests. To begin with, we will like to thank you for your support over the years. We thank you for your patronage and for the brilliant criticism you have been offering us to empower us serve you better. We likewise value you for your referrals and generosity. We chose to offer back to you, in our very own little way for your colossal commitment to our organisation ‎this year. We are pleased to alert you of our centre’s ongoing test registration promotion. We will like to compensate you our esteemed clients, students and well-wishers with this dazzling bonanza and referral rewards. There are also mouth-watering compensation for each referral you make for enrolment. Please call the number above if you will like to us. Thank you.